We Love is an opportunity for EB writers to contemplate, rant, and rave about one of their current musical obsessions and the deeper issues they inspire. For our first installment of the regular feature, Laurie Tompkins discusses why he’s loving Beatrice Dillon’s new tape on Where to Now? Certain underground music of late has seemed to demand a pledge of allegiance to either the ’80s or ’90s, via the lo-fi house sludge of L.I.E.S. and its imitators, or hyper-slick hip-hop and rave deviations, respectively. But Beatrice Dillon’s Blues Dances sidesteps this faux dualism entirely, prioritizing subtlety and variety over ramming some garbled retroism down your ears. My introduction to Dillon was an ace mixtape for Will Bankhead’s The Trilogy Tapes, which skillfully navigated Folkways Records’ catalog, whose range of early electronic experiments, dub, and African drumming mirrors the hybrid elements of her own productions. On her Where to Now? 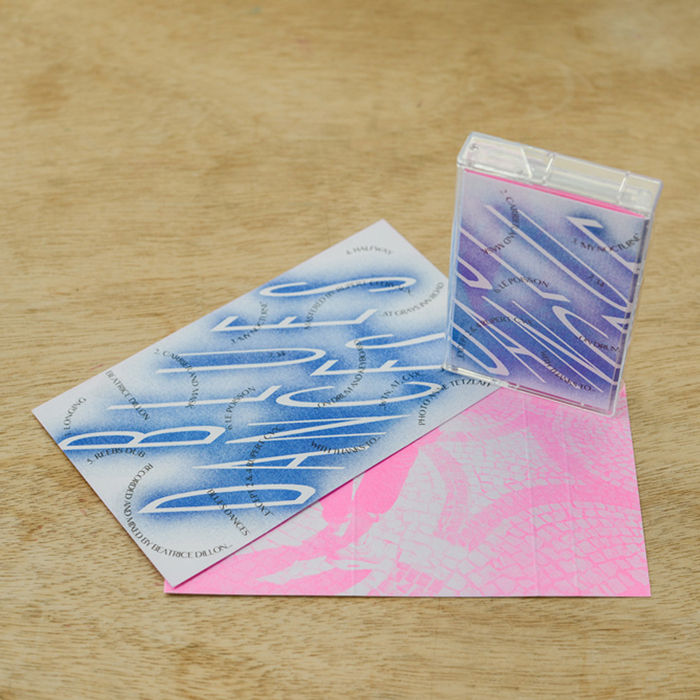 tape, which is composed of all original material, the London-based producer channels a variety of different influences. Whether she’s composing ambient music (“My Nocturne”) or Ekoplekz-style dub (“Carrier Mask”), Dillon always manages to employ a palette of analog electronics, snatched guitar, and vocal samples with a deft and playful hand. Closing cut “34” is particularly magnificent—snipped bleeps and bloops settle into full swooping lines, whose artificial reverb is swallowed by the resonance of a fractured piano solo. Blues Dances is available via the excellent London/Brighton imprint Where To Now?, who are set to release a further 12” and album from the producer in the coming months.